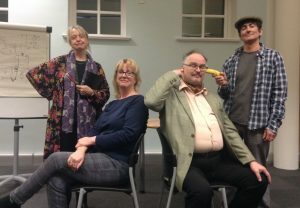 The third in the Little Grimley series sees Gordon, Margaret, Joyce and Bernard back to tackle yet another threat to their survival – this time in the shape of a rival am-dram group determined to upstage them. Could this finally be the end of their society? Don’t be so sure. It’s never over … until the fat lady sings. AND ‘COFFEE BREAK’ – a sketch by David Tristram. 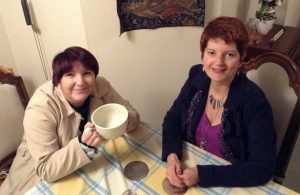 When Charlotte decides to stop for a coffee after a shopping trip, she bumps into Lucy, a school friend she hasn’t seen for years. But to stop and chat or not?